Queen of the Fall: A Memoir of Girls and Goddesses, is a collection of linked essays by Sonja Livingston and the If All of Rochester Reads the Same Book selection for 2016. For the next few weeks, Sonja will be here for readings, signings and discussions at Writers & Books, local libraries, schools, colleges and bookstores. Sonja is from the Rochester area, and divides her time between Rochester and the University of Memphis, where she teaches writing. The daughter of a single mother and one of seven children (with five different fathers), Sonya has also written a memoir, Ghostbread, about growing up in poverty in the Rochester slums and on the Tonawanda Reservation. I wondered: Does Sonja look upon Judith as a mother figure, a kind of midwife who helped Sonja give birth to her own writing? Yes, she does. So do I, and so do many in the Rochester community. I know Sonja does because, flipping through her essays, I found “Flight,” about the personal essay writing class taught by Judith that Sonja enrolled in many times. I took the same class from Judith years ago, when I first began writing memoir and essay. Poet, novelist and essayist Judith Kitchen was a professor at SUNY Brockport at the time. She was married to the poet Stan Rubin, also on the Brockport faculty. Both were master teachers beloved by students and the literary community here. I’d had to wait a semester to get a spot in Judith’s class. She generously added a slot or two beyond the designated maximum enrollment of twenty to accommodate those of us at the top of the waiting list. Judith didn’t have to let us non-matriculated students in, but she did. I think that she welcomed the diversity of backgrounds and generations, because it made for lively, rich discussion and, ultimately, more learning and better writing. 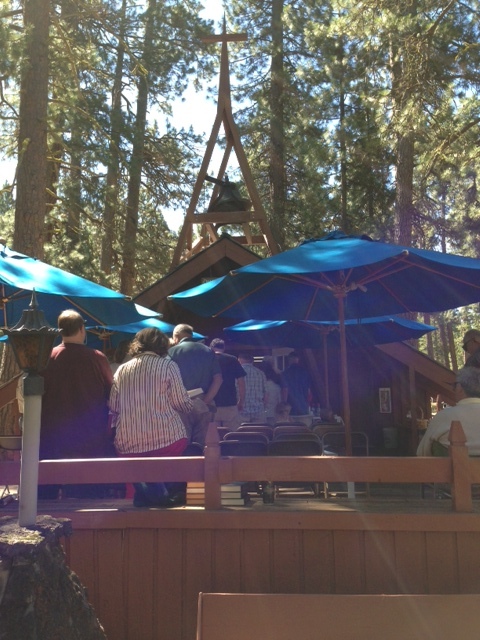 Our class was made up mostly of young people enrolled in the Creative Writing MA program. There were a few women getting mid-life master’s degrees in the class, too. I was in the small group of moms with kids and/or jobs, taking the course as continuing ed, trying to squeeze in the class time, plus the hours of writing and preparing critiques. Oddly, I sat next to another mom with young children who also happened to be writing about having a mother with schizophrenia. I wasn’t sure I liked that so much, but on the other hand we “got” each other. 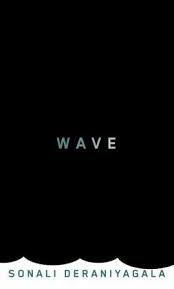 We were of the same tribe and found our own experiences validated in each other’s writing. I remember those three-hour sessions every Tuesday evening, all of us crowded around a large conference table in an undersized room. Usually, two people were in the hot seat: the writer whose essay we were critiquing, and the student moderator leading the critique. Being the moderator was nearly as stressful as having 20+ people deconstruct and critique your writing. Judith wanted us to practice and learn the art of critical reading and the art of leading a successful writing workshop. She knew the value of writers in community and that the best way to learn how to write is to learn from one other. So, in addition to our writing assignments, we were required to come to class prepared to intelligently discuss our classmates’ essays, having read them thoroughly and marked them with comments. Judith was strict in her expectations, but she was also kind and nonjudgmental. This is crucial in a writing teacher, especially in a college setting where you have new, young writers grappling with their innermost secrets and shames and confessing them on the page, perhaps for the first time. We wrote and shared funny essays, of course, and happy ones and contemplative ones. But in Judith’s class, I learned what it was like to be young and beautiful and anorexic in a dorm full of women with anorexia. I learned what it was like to have your dearest, life-long friend, the one who knew you better than anyone else, commit suicide. I learned what it was like to be secretly lesbian and have a Vietnam war veteran with undiagnosed PTSD for a father. I wrote a couple of essays about my family, my mother, schizophrenia, and the boy I loved. I shared with the class stories I’d never told before and listened to their comments. One classmate’s essay in particular has stayed with me all these years. He wrote about a long night of partying. Beer after beer, shot after shot. The girl he was madly in love with. (Who he was still madly in love with; it was all over every page and you could see it in his eyes as he listened to our comments.) The girl who didn’t know he was alive. The girl whose long blonde hair he pulled back and held as she vomited into a toilet. I don’t think he was confident of his own potential and, for sure, he knew before we said anything that he hadn’t nailed it, this unrequited love he was trying to write about. I think this boy and his essay got to me because I had two sons on the young side of their teen years. I realized that I was old enough to be this writer’s mother, old enough to be the mother of all the young writers in the class. I knew that I would never hear about my own sons’ loves in this searing detail, because that is not what sons tell their mothers. I knew this boy’s mother would likely never hear the story her son was trying to tell us. I wanted to offer him something helpful and constructive, but I was mystified. I, too, was finding that, when it came to writing about my own first love, I was at a loss. How do you write about love in a way that is not sentimental or cliche, but authentic, vivid, new? In autobiographical writing, you need to learn how to methodically unearth your personal land mines without letting yourself go crazy all over again. Then, with focus, presence of mind, patience, and persistence, you teach yourself the craft of writing. Draft after draft, you learn how to spin your most intense life experiences and emotions into storytelling gold. It becomes not about you anymore. 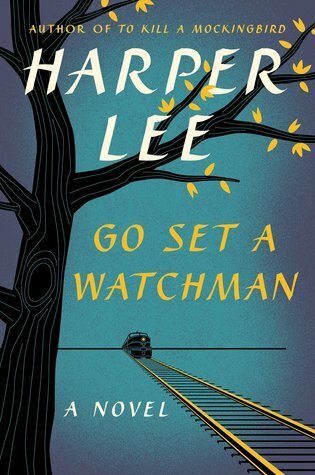 Your exquisitely cut but imperfect gem of a story (it will never be perfect), the only one like it in the world, is ultimately for the reader. Maternal is the word I think of now to describe Judith Kitchen. The way she created a safe, nurturing, supportive place for new writers to learn how to do this. In class, my comment to the boy writing about the girl he loved was only to say something that would help him feel some kinship in his struggle. I said I thought writing about love was one of the hardest things and I was trying to figure out how to do it, too. I told him his writing was, for me, authentic and deeply felt, and that I thought if he kept writing but didn’t try to force it, eventually it would become what it was supposed to be. 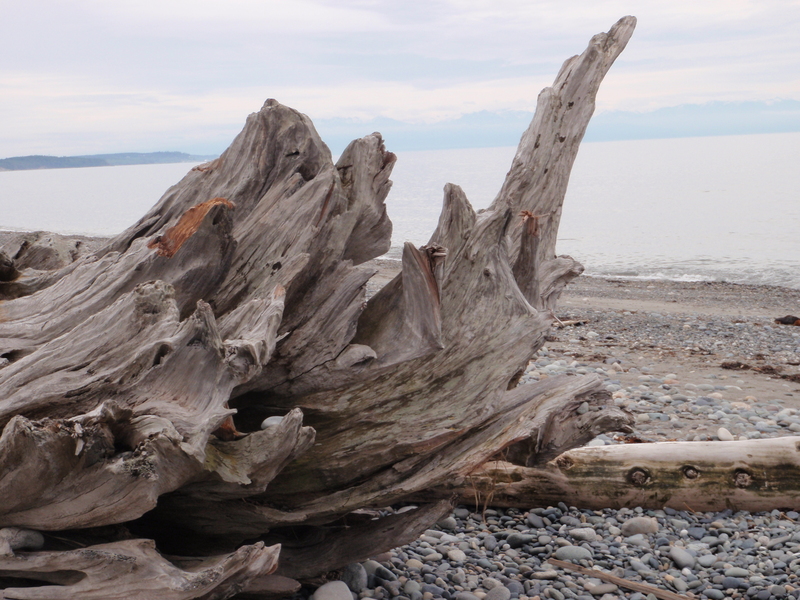 A few years after I took her class, Judith and her husband moved to Port Townsend, Washington, where they founded the Rainier Writing Workshop. It is a unique, 3-year low-residency program. Its focus is not on achieving heights of literary prowess or publication or prizes, but on helping students find for themselves a sustainable, lifelong writing practice. A worthy goal. Judith passed away in 2014. Years after Judith left Rochester, there are a handful of writing groups that originated from her classes that are still going strong. 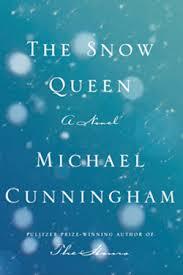 Next week: Sonja Livingston’s Queen of the Fall and Ghostbread. Have you had a writing teacher or artistic mentor who has influenced you and helped you along on your creative path? As I write this, I have a hangover from staying up too late reading David Schickler’s new memoir, The Dark Path, in one sitting. When he was a boy attending Mass with his family in Rochester, New York, David fantasized about a blonde, blue-eyed Catholic girl named Caitlin. When he went to the country club swimming pool he pined after Leslie, a brown-haired, amber-eyed beauty who was Protestant and therefore dangerous. David was obsessed with girls, but he also dreamed of becoming a priest. He’d walk the dark path through the woods behind his house, hoping to hear the voice of God telling him what he should do with his life. Attending McQuaid Jesuit High School here in Rochester, David’s loyalties were still divided, and they remained so when he went off to college. Needless to say, this greatly complicated his love life. His newly published memoir, The Dark Path, is about David’s comic, convoluted, and often anguished discernment of whether he should become a celibate priest or forgo all that for another kind of life altogether. Thursday evening at our local Barnes and Noble, David read excerpts from his book to a standing-room-only crowd that included his family and many of his lifelong friends. After living in New York City for a while, David returned to Rochester several years ago. 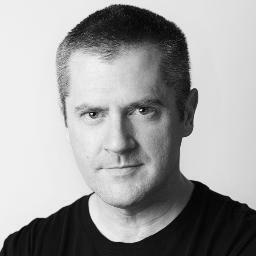 In addition to his literary writing, he is a screenwriter (co-creator of the TV series Banshee) who commutes to Los Angeles and New York. Years ago, I’d read and loved his Kissing in Manhattan. It’s a collection of strange and haunting linked stories about young singles in the 1990’s looking for love, living in a beautiful old building on the upper West side loosely based on the Dakota, where John Lennon lived and Rosemary’s Baby was filmed. (I’d been single in New York in the 80’s, which is partly why Kissing drew me in – David captured so well the big city headiness shot through with loneliness.) Last week, when I found out David was about to publish a memoir, I didn’t want to miss the debut. David read a scene from The Dark Path about jockeying for space in the bathroom while fighting with his sisters, vying for the hair dryer and mousse as they got ready for church. I thought the scene sounded a lot like how it must have been when my husband’s family got ready for Mass when he was a boy. I’d brought my husband along with me to the reading – he’s not an obsessed reader like I – and he was immensely entertained, as were all the men in the audience. David is a natural stand-up comic, a down-to-earth, regular guy who appeals to other regular guys. Women love him, too, of course. Look at his photo and you’ll see why. Let me say a few words about Kissing in Manhattan before I tell you more about David’s memoir. I’ve never forgotten one particular story in Kissing, about a rich, handsome, deeply wounded stockbroker with a dark side. (Christian Grey comes to mind, but with a twist, and Schickler’s writing is orders of magnitude better.) Patrick Rigg can have any woman he wants, but instead of making love to them, he – well, he does something else. It falls to a priest, Father Thomas Merchant, to see if he can save Patrick from himself. When Kissing was first published, it was an immediate sensation. David achieved literary stardom overnight. But when his father, a devout Catholic, read an early version of the manuscript, he’d been horrified. David’s father pointed out that Greeley was a priest for 25 years before he began to write bodice-rippers. In The Dark Path, David writes about the publication of Kissing. Yes, he became an overnight success, but there was fallout in his personal life. The Dark Path is about David’s crisis of faith; as well, it’s about what, exactly, a writer is supposed to write about. Truthful, authentic writers write about their obsessions, but what if you’re drawn to the dark stuff? For that matter, to be a priest who truly ministers to those in need, don’t you have to acknowledge darkness (both inside ourselves and in the world) and help people grapple with it? I think, for writers, it’s the stance you take. 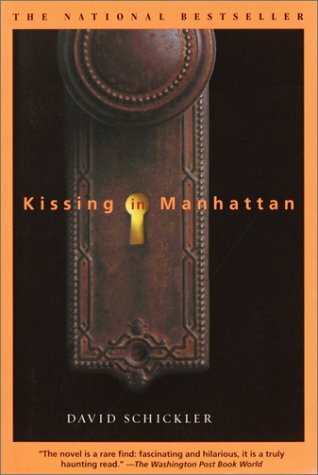 Parts of Kissing in Manhattan startled me, but I admired how David played out the tragic elements of his story. It was clear to me he wasn’t sugar-coating reality or condoning the grimmer, inexplicable aspects of human behavior. In my view, he offered readers glimmers of hope, a pathway to the light. David doesn’t hold back in The Dark Path. He’s blazingly honest about his failings, vulnerabilities, struggles, and relationships with women. He’s hilarious, too. During his reading, he said he doesn’t write for therapy, he writes to entertain people. The Dark Path is definitely book club material. 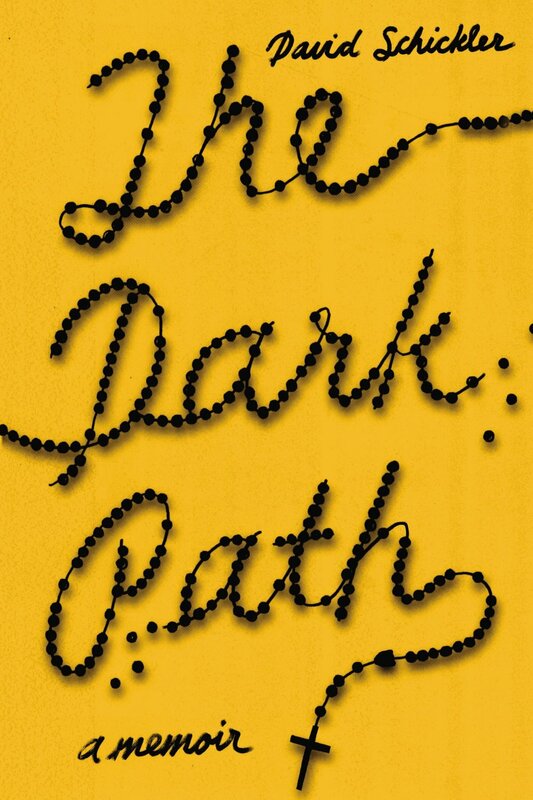 In fact, it would be interesting to read Kissing in Manhattan and The Dark Path together. I believe these stories have something to say to Catholics and non-Catholics alike, to those of other faiths, to agnostics and atheists as well. To anyone who’s grappled with the absurdities of life and their place in the world. For more memoirs of the spiritual journey, see my little book list below. Before we head to our family reunion in Cannon Beach, Oregon, we’ve been exploring the high desert east of the Cascades. Of course, I had to find a book indigenous to this place, so I settled on Sarahlee Lawrence’s memoir, River House. Sarahlee is a kind of modern-day superwoman: an expert river runner who navigated the most dangerous rivers in South America and Africa by the time she was 21, a rancher who built from scratch her own log cabin with the help of her father, and a talented young writer who gives us an honest, unromantic vision of what it is like to live off the land here. After her almost unbelievably dangerous river adventures, Sarahlee decided to return to the ranch where she grew up with her parents and grandparents, to reconnect to the land and build her own log cabin. River House chronicles the building of the cabin, Sarahlee’s struggle to reconcile her love of river running with the land-locked life of the ranch, and her fraught relationship with her father, a former surfer (riding wild water is in their blood) who has ranched for thirty years and is worn out by the land and the unrelenting physical labor. 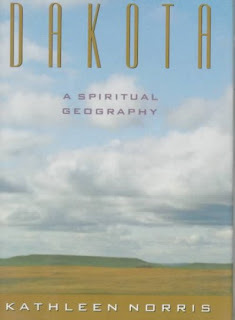 If you want to steep yourself in the physical terrain and culture of central Oregon’s high desert, if you want a vicarious taste of backbreaking labor as told by a young woman with a strong spiritual connection to the land, River House is the book for you. 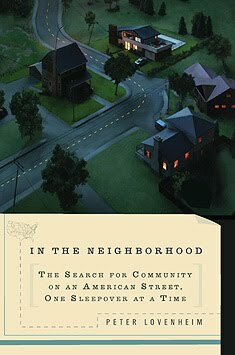 If your aim is to build a luxury McMansion with all the creature comforts and a picture window view of Three Sisters, this memoir will probably make you uncomfortable. I found River House to be a great read. 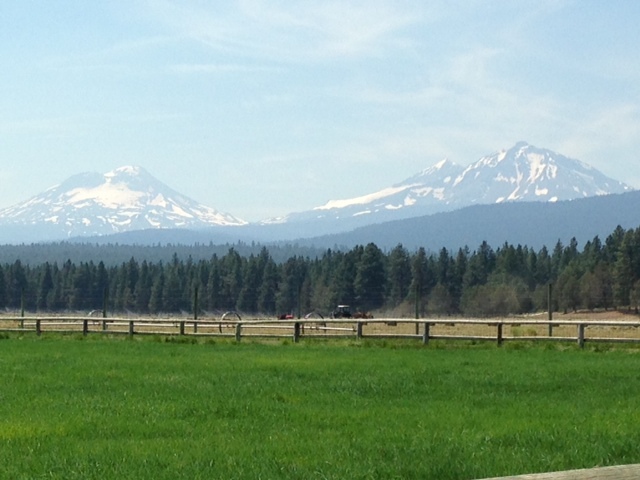 As we drove around the hot, dry land and hiked in the stunning forests along the ice-cold Metolius River and around the secluded Suttle Lake, I was very conscious of being a tourist, a stranger in this unusual place. There is a vast divide between those of us who live a sedentary life behind computer screens and plugged into social media and those who work the land every single day of the year. 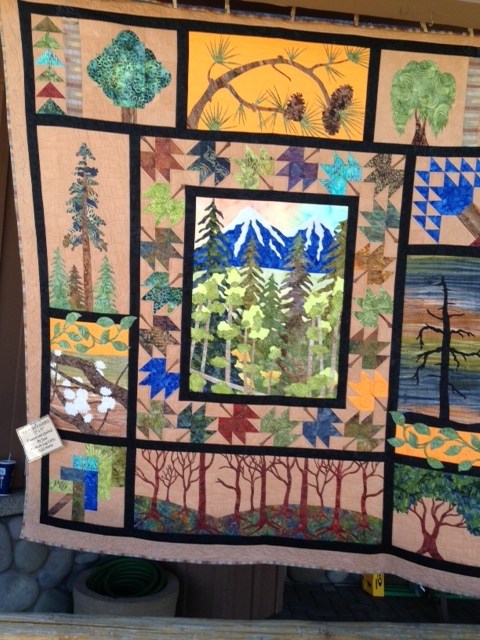 Quilting is a fine art and craft here. 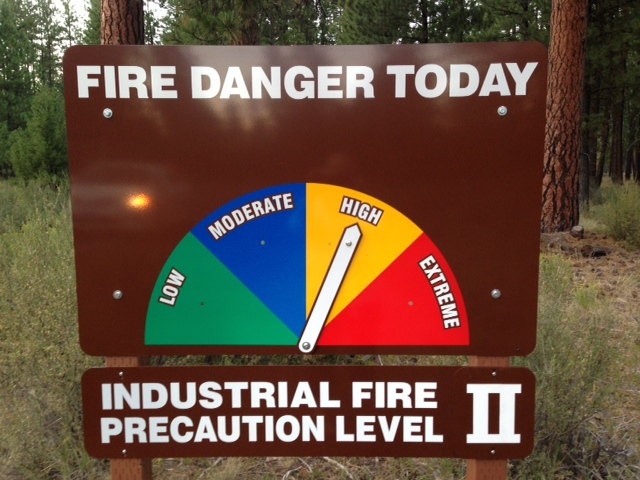 A day after we saw this sign, it was 99 degrees and the fire precaution was upgraded to Extreme. 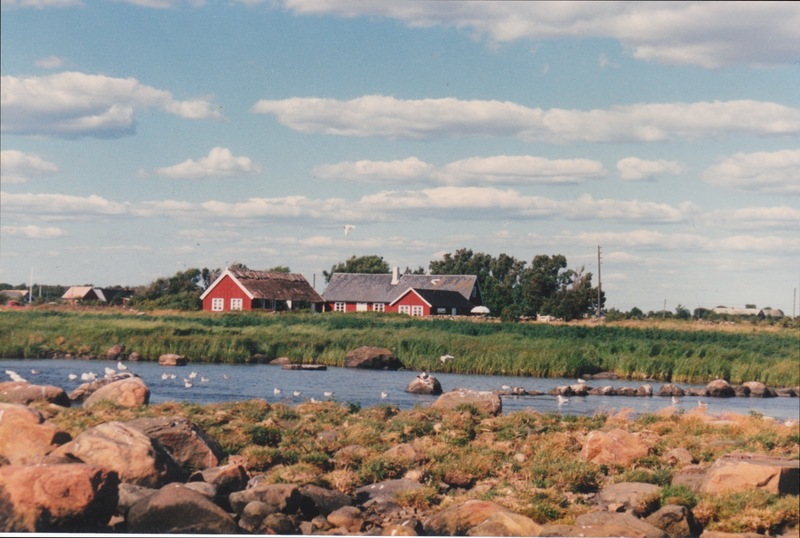 The tiny farm near Falkenberg, Sweden where the Johansson family lived at the turn of the century before they moved to a larger one. Here my grandmother, Hulda, helped her mother and father with baking, cleaning fishing gear, and other chores. 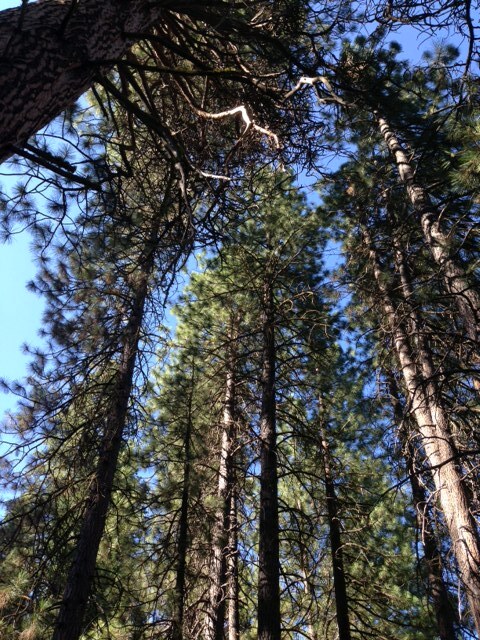 I just finished reading The Forest House, Joelle Fraser’s memoir about divorce and living alone in a remote village in northern California’s Diamond Mountains. Like me, Joelle is of Swedish descent. 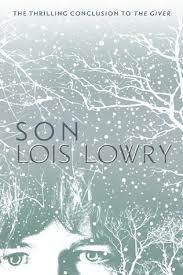 She writes of her great-grandmother, Emma, who had to leave her six daughters with foster families and neighbors in Sweden when she emigrated to America in 1919 after a family tragedy. Emma saved the money to send for her children and was eventually reunited with five of them. This reminds me of Lone Frank’s book, My Beautiful Genome, and her fascination with the genetic “coding” we inherit from our ancestors. We’re getting ready for an extended family reunion, so I’ve been thinking about ancestry as I look forward to seeing several generations of my husband’s family. To celebrate and explore their Irish heritage, we’re going to be reading Colum McCann’s new novel, Transatlantic. More about that in my next post. In the meantime, here are excerpts from letters sent to my grandmother from Sweden. Recently, my cousin and I had a few of them translated. I would like to tell you all that Dad is gone from us forever. I have a heavy heart and am tired…his heart was in poor shape, so he died of a heart attack. He went so fast. We should all be prepared every hour that the Lord may wish to call us from here. Dad was so good; we hope he is resting in the arms of the Savior. He went with me both to the Church and partook of the Communion. We hope that the good Lord’s mercy is so encompassing that he will accept all of us as his children. We have our health. 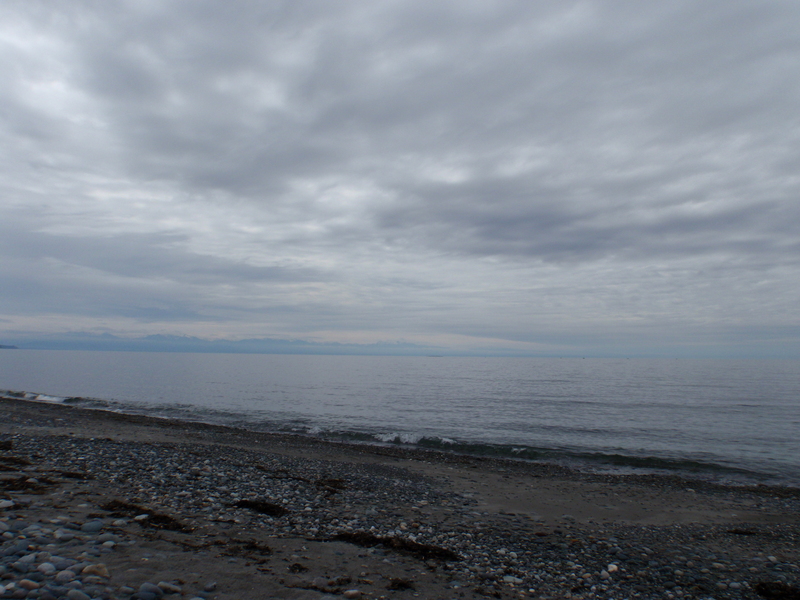 They have started to harvest rye so I am sitting here alone, writing…. Oskar is so well now that he could leave [the hospital] and he is riding around on his bicycle during the day. He is well off since he has a pension of more than 500 Crowns a month and has electric light and heating; the temperature is always 20 degrees C inside since heating is automatic…..
Annie is quick as she has always been. I…remember when she was going to school in Bölse and had a blue velvet cap which I thought was so beautiful. Hulda, maybe you also had that velvet hat…..
We sisters are wondering how you are doing following Ivar’s death….. Thank you for the letter and the Christmas greetings. How are you there so far away? Everyone asks Oskar if you are well and hale. Here in Sweden it is raining only and the wind is blowing, but perhaps by Christmas it will be crisper…. I have my one leg, so I got an artificial one so I can walk a bit and I can drive a small car. I can no longer bike, it is hard, one has to do what one can. Soon it will be Christmas again; time goes by so quickly. I go home and sit in [illegible] to pass the time. I can read whatever I can put my hands on and pass the time. With kind greetings and wishing you merry Christmas. If you can add to this list, please do so in the comments. And if you’ve read one of these books, let us know what you think about it. If you told your siblings you wanted to interview them on camera for several hours about the most private family matters, do you think they would do it? And do you think anyone else would find it interesting? Filmmaker Sara Polley’s family pulled this off brilliantly, maybe because many of them have acted on the stage and screen. They are all wickedly funny and not at all shy about saying just about anything. I wanted to write about Stories We Tell even though it’s not a book, because I enjoy memoir and, to me, this documentary is a kind of family memoir on screen, expertly told. If you watch the trailer, you might think you know what Stories We Tell is about (I did), but you won’t know the half of it. There is a mystery at the heart of this story and Sarah knows how to reveal the truth, or as close as she can get to it, layer by layer. When you least expect it, someone drops a little bombshell and the picture you’ve formed in your mind of Sarah’s family and her mother, a woman with secrets, changes dramatically. You will like the Polley family. They are beautiful, funny, brave people. It’s interesting to me that Sarah is at the heart of this family mystery yet she keeps herself largely off stage and lets others tell the story. There are so many memoirs being published now, many with themes that are quite bleak. Memoirs don’t have to be sad and filled with suffering. And having an unusual or tragic experience doesn’t necessarily warrant a book. 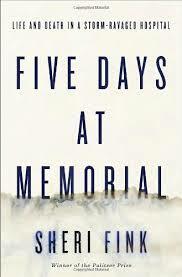 A good memoir has a distinctive voice, an unusual, startling, or fresh perspective, and a compelling story. Just like the story of Sarah and her family. 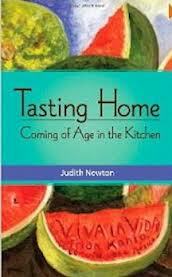 I’ve been reading Judith Newton’s Tasting Home: Coming of Age in the Kitchen. I was curious about how Judith so successfully conquered new territory by authoring a memoir, having spent her career writing for academic audiences. My background as a marketing communications writer has been both a help and a hindrance when it comes to memoir and other personally expressive writing. If you are a writer who wants to try new forms or reach new audiences, you may find Judith’s insights helpful. And if you simply want to read more fine food memoir collections, Judith has some excellent suggestions. In your acknowledgements you mention having to transition from writing academic texts to writing memoir. Can you comment about some of these challenges and how you overcame them? When you write as an academic, you are writing defensively. It’s customary to begin a book by outlining the arguments of other works on the subject. You then situate your own argument in relation to those of other works and point out how your own says something better or new. You’re always aware of how others might criticize your argument and you’re careful to defend yourself against that. It’s a competitive culture and some people are downright mean. Writing a memoir requires a different emotional orientation. The idea is to open yourself up, to share private stories with your public, and to engage with readers on an emotional level. I had to imagine a non-academic audience to write like that and, even then, writing the memoir sometimes felt like jumping into free fall off a cliff. Taking classes was helpful with this. I often imagined my audience as the other people in the class. I did read other memoir writers. M.F.K. Fisher’s The Gastronomical Me was a big influence because it conveyed a great deal about the emotional hungers that are fed in cooking for, and dining with, others. 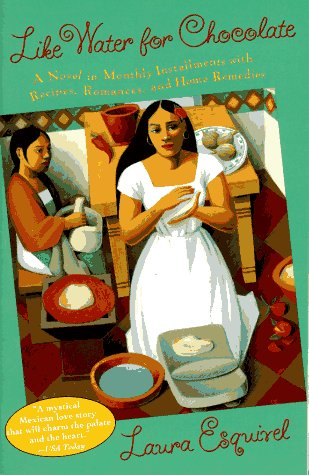 Laura Esquivel’s novel Like Water for Chocolate implicitly connects food to politics, which is something I wanted to do. In Like Water cooking for, and eating with, others is what sustains women and men, physically, emotionally, spiritually, and politically as well. Mollie Wizenberg’s A Homemade Life, which, among other food memoirs, combines personal vignettes with recipes, supplied a model for the form. I had to learn how to write differently as well. Although I made a habit of including personal stories in my academic writing, those stories were an addition to, or comment on, the argument I was advancing. I had to learn how to sustain a personal story for the length of a book, how to give it a narrative arc, how to write scenes, develop characters, write dialogue, use imagery and all the rest. I took classes to do this (at U.C. Extension and Osher Lifelong Learning), and I really believe in classes for the instruction and for the community they give you. I needed that community support. (I also loved being a student rather than the teacher!) I made a conscious decision to go into my classes feeling open to criticism because insightful criticism is a writer’s gold. I wanted to experience, in a full way, whatever the class brought. I can remember feeling that Annie Lamott’s Bird by Bird was incredibly liberating and comforting. 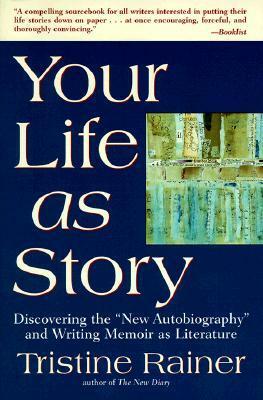 Two other really helpful books were Tristine Rainer’s Your Life as Story and Janet Burroway’s Imaginative Writing. I especially like Rainer’s book and think that people who write screenplays have a lot to teach us. If there are food memoirs and cookbooks you’ve especially enjoyed, let us know in the comments below. Judith Newton is Professor Emerita in Women and Gender Studies at U.C. Davis. While at U.C. Davis she directed the Women and Gender Studies program for eight years and the Consortium for Women and Research for four. Tasting Home is the recipient of a 2013 Independent Publisher Book Award. 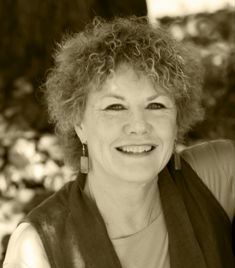 In addition to Tasting Home, Judith is the author and co-editor of five works of nonfiction on nineteenth-century British women writers, feminist criticism, women’s history, and men’s movements. Four of these were reprinted by Routledge and the University of Michigan Press in fall 2012. Currently she writes for The Huffington Post. If you want to read this treasure of a memoir you’ll have to do a bit of work. It’s out of print, so I ordered it from a used bookstore listed on Amazon. I love finding small packages on my doorstep from faraway bookstores. Blanchet and her five (FIVE!) children spent many summers on their 25-foot boat, the Caprice, exploring the British Columbia coast. This, after Blanchet’s husband had been lost at sea on the Caprice – only the boat was found. Often, Blanchet followed the route of Captain Vancouver, who explored the waters in 1792. 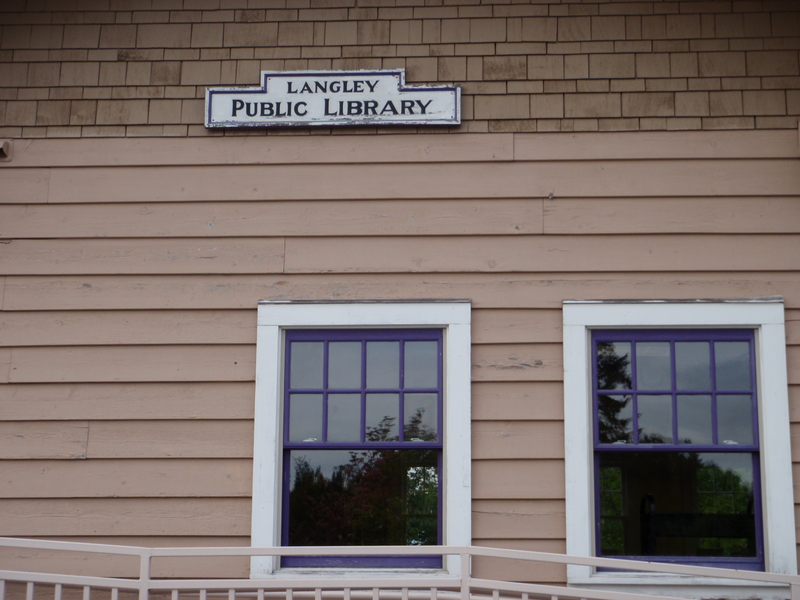 She read a copy of Vancouver’s diary to her children, and they tried to identify landmarks the sea captain had written about. 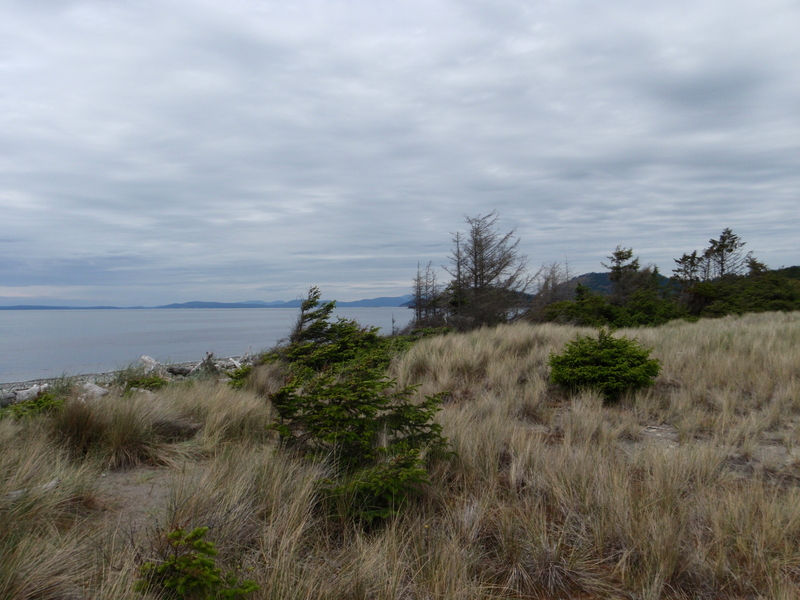 They followed no particular schedule except for being mindful of tides and weather, stopping when they pleased to explore little islands, hidden coves and beaches, and secluded inlets and bays that often didn’t show up on the map. Her stories remind me of our many trips over the years rediscovering nature through the eyes of our children. This is the kind of book you’ll want to read aloud with children and grandchildren. Blanchet’s children were amazingly hardy and brave, often finding themselves with their intrepid mother doing things I couldn’t imagine doing with my children: crawling on a log suspended over rapids, exploring Native American burial grounds (in which bodies were “buried” dangling from trees in nets), making their way along a cliff in fog on a slippery, snowy mountaintop. 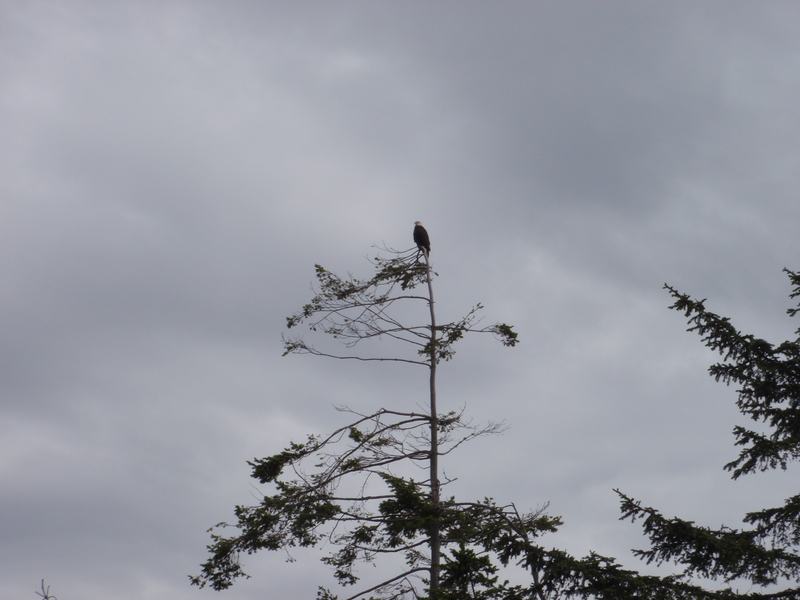 All photos were taken on Whidbey Island. The quotes are from: The Curve of Time: The Classic Memoir of a Woman and Her Children Who Explored the Coastal Waters of the Pacific Northwest, M. Wylie Blanchet, Seal Press, Berkeley, CA, 1968. Cheryl Strayed, author of the memoir Wild, is otherwise known as Sugar, the advice columnist for The Rumpus, an online culture and literary magazine. Cheryl had been writing the column anonymously until this past Valentine’s Day, when she “came out” just as her newly published memoir was rising to the top of the bestseller list. The Rumpus is a clever, intelligent magazine. I’m a bit too old for it, or it’s a bit young for me, so I’m not a regular reader, nor do I follow Cheryl’s advice column (which is not your ordinary, everyday kind of advice column). But somewhere along the line, I came across a piece of wisdom I liked that Cheryl gave to a struggling young writer who’d sent a letter to Dear Sugar. This bit of wisdom went viral and the people over at The Rumpus decided to put it on a mug. I ordered the mug and it came in the mail yesterday. I’ve read all kinds of books about creativity and writing to keep my own writing going and because I’m fascinated by the creative process. A couple of pages on this site are devoted to books about writing and creativity, and I’ll be featuring some of these on Books Can Save a Life as time goes by. But sometimes just a short, pithy, to-the-point kick in the pants is all I need. 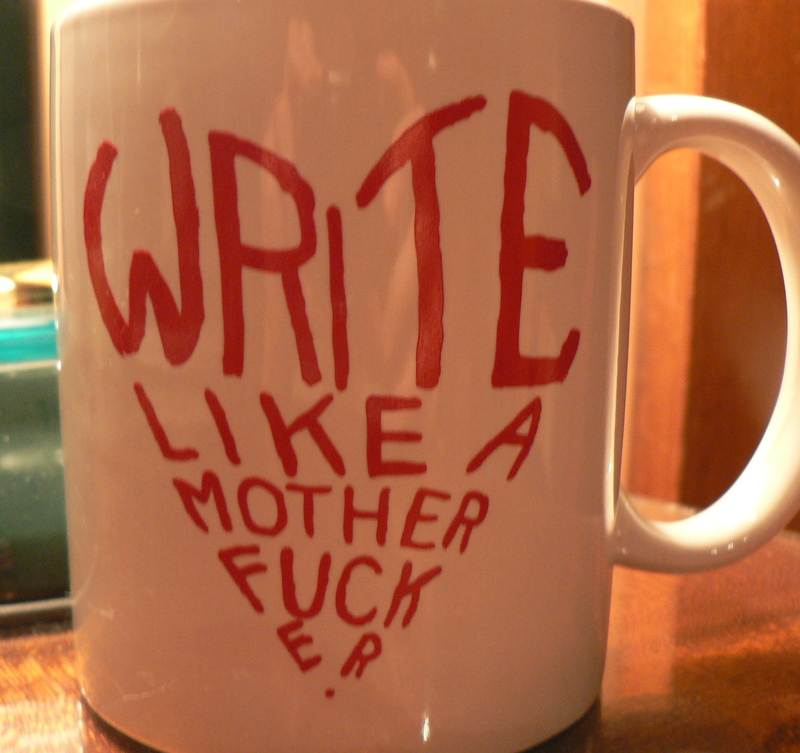 So I’ve got my new mug sitting on my writing desk, ready to be filled with coffee or tea on a moment’s notice. I would say this is Cheryl’s approach to writing, to walking, to life. Wild is to be made into a movie starring Reese Witherspoon. There is a fabulous interview with Cheryl over at Bookslut, but beware of spoilers. You may want to finish Wild first, before you read it. Hey, is anyone reading Wild? If so, let us know what you think in the comments below. I’m heading off to the land of Wild (the Pacific Northwest) later this week to attend a medical librarian conference with some of my colleagues (profoundly intelligent readers, all of them). Then some vacation time with family, where I’ll be reading other books with a Pacific Northwest theme, exploring Seattle (including The Elliott Bay Book Company), and the surrounding terrain. Watch for posts and pictures!